It's true when we talk about India's best B-schools the names that come to our mind are typically that of IITs and IIMs . the IITs or IIMs and hence it is necessary to look beyond these institutes. That’s what Entrepreneur endeavored when it thought of going on with its first ever B-school survey where entrepreneurship is becoming rampant. We deliberately picked only a handful of IIMs and IITs while preparing the ranking and focused more on finding out how receptive are the B-schools in India in terms of making future business leaders, though while evaluating your choices, all IITs and IIMs should be prioritised. In the era when there is a herd mentality of everyone choosing an MBA after engineering to be better equipped in terms of managerial skills, are we actually nurturing them to become future business leaders or just professionals? Our aim has been to cherry pick the ones which provide a holistic environment to blossom big idea in their campus. The thought was to look out for institutions (cross country) who are not just churning out employees but aim to inspire the next generation to dream bigger. 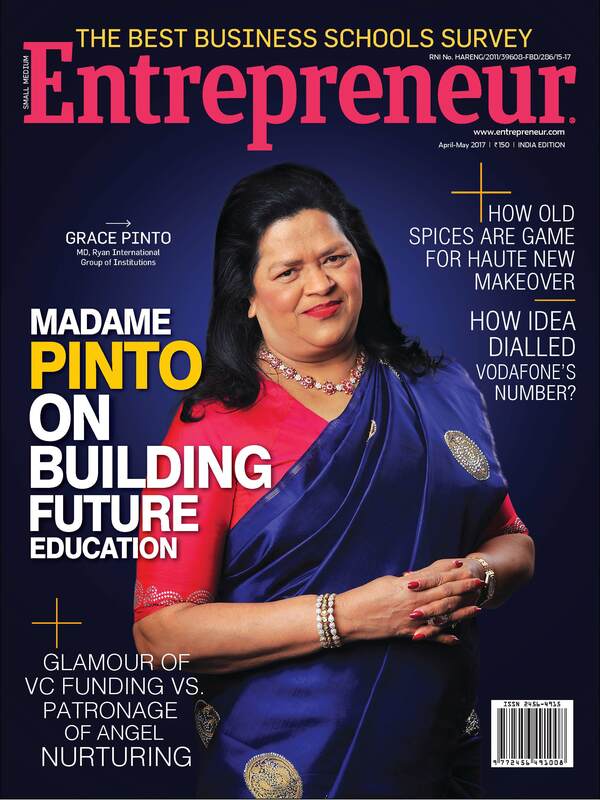 Between its cover, Entrepreneur has featured the best 30 B-schools, which have been able to develop an environment and curriculum that let the students think like a leader. From conducting the survey to preparing ranking for these esteemed institutes, our objective was clear that how these institutes are promoting start-up ecosystem to instill entrepreneurship DNA among the students. Arguably, it is early days of entrepreneurship education in B-schools and Engineering colleges and excellence in delivery is still some way to go, in terms of providing the best facilities for entrepreneurship as a subject of study and career choice, but they are early movers who are the first ones to raise their hands to come in forefront to say, yes, we are equipped on to create job creators not just job seekers. One of the criteria, which we focused on was how entrepreneurship is being looked at by different disciplines. While preparing this list we looked at institutes offering entrepreneurial education such as start-up initiatives, family business and entrepreneurship in small and medium business. The Entrepreneurial Itch: B-school Graduates Turning Entrepreneurs!